Whether your AED (Automated External Defibrillator) was purchased for your home, school, business or any other location, the acquisition of an AED is only half of the battle. It is equally important to ensure that your AED will perform in the event it is called to duty. The only thing more disappointing than not having an AED available in an emergency situation is having one that fails when called upon. This is especially true after considering how simple it can be to maintain an AED and guarantee that it will be fully functional in an emergency. Here at CPR Savers & First Aid Supply, we can service your AED or AED's for you and make sure that they work and make sure none of the parts are expired. For more information on our AED Servicing/Maintenance program, please contact us. Some tips we stress is to make sure the instruction manual is readily available in the event someone without much experience attempts to use the AED, and require all known potential users to read the manual. Every AED has its own maintenance plan and instructions provided by the manufacturer in the AED's instruction manual. Through our AED Re-Certification/Re-Calibration program, you can send us your older or out of warranty AED's, and we will put them through a comprehensive recertification process. All AED's are tested with state-of-the-art equipment and tests are performed by certified biomedical engineers. Our process meets all 11-Point AED and 22-Point Monitor/Defibrillator checklists, and each AED carries a 1-year warranty and the CPR Savers Medical Guarantee. For more information on our AED Re-Certification/Re-Calibration program, please contact us. 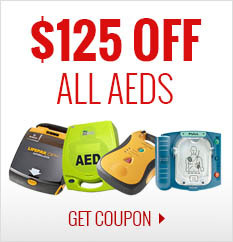 Trade in your old AED and receive a credit towards the purchase of a new one! For more information, click here. Or you can contact us. Currently all 50 states require the routine maintenance of automated external defibrillator (AED) devices. CPR Savers provides total-solution AED Program Management. Placing AEDs in your organization is making a choice to protect your people. Unfortunately, liability concerns associated with stringent AED legislation can hinder the deployment of these life-saving devices. CPR Savers AED Program is an all-inclusive solution that handles every aspect of your AED Program, so you can have the peace of mind that only comes with being prepared. Most importantly, placing AEDs and training your people in Cardiopulmonary Resuscitation (CPR) just may save the life of a coworker, friend or loved one. It’s too late to act when tragedy strikes. Make the choice today, and be ready now. Check out our brochure for more information and details by clicking here. If you would rather speak with a representative, contact us. 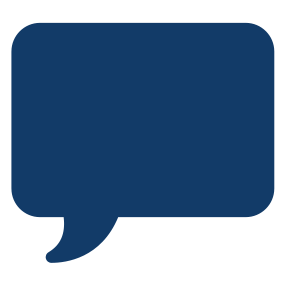 For AED State Laws, click here.